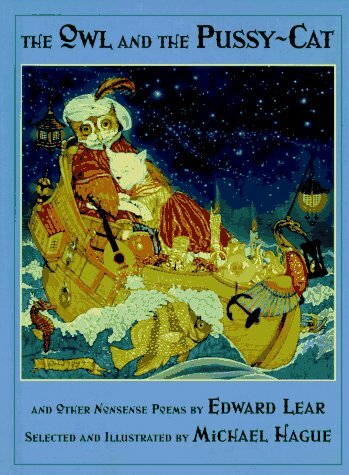 An illustrated collection of twenty-four nonsensical poems by Edward Lear. Edward Lear, artist, illustrator, and poet, wrote nonsensical stories and popularized the limerick with works such as ""The Owl and the Pussycat"" and ""A Book of Nonsense"". His work has influenced children's poetry from Dr. Seuss to Jack Prelutsky and delighted children and adults for ages.